Former Black Fern Rebecca Mahoney is set to become the first New Zealand female referee to officiate a first-class men’s fixture. Mahoney will be in control of the Heartland Championship match between Thames Valley and King Country on Saturday. 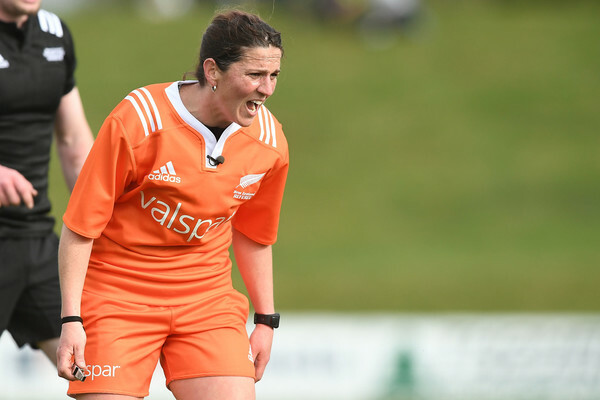 She was one of two women named in the High-Performance Referee National Squad earlier this year with this weekend’s appointment acknowledging her progress in the refereeing ranks. Mahoney played 16 matches for the Black Ferns before turning her attention to refereeing. Since 2015 Mahoney has officiated sevens at the Commonwealth Games and Rugby World Cup Sevens, taken charge of one test match and two Farah Palmer Cup finals. Saturday’s appointment is the first of three Heartland Championship matches that Mahoney is set to control this season.